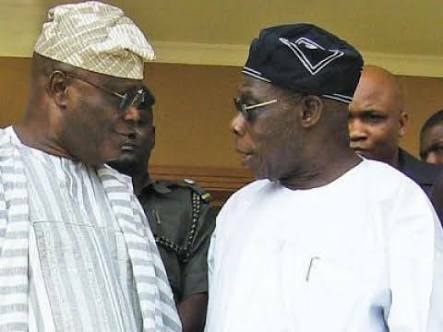 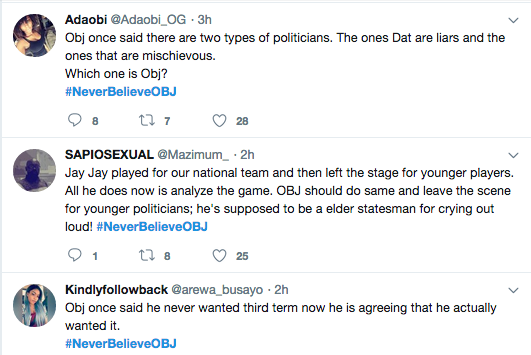 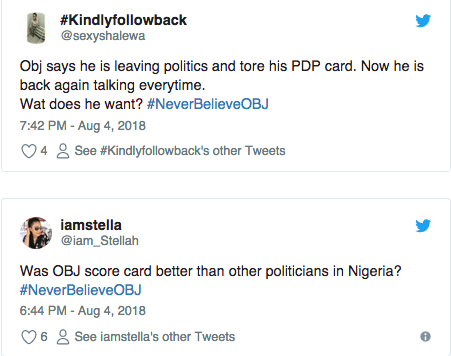 Trending on Twitter today is the #NeverBelieveOBJ used by many Nigerians who took to their Twitter handles to either support or tackle former President Chief Olusegun Obasanjo over an interview he granted PremiumTimes where he said that “Atiku is politically dead if I Obasanjo is still around.”..
“How can I be on the same side with Atiku?” “To do what?” “If I support Atiku for anything, God will not forgive me. 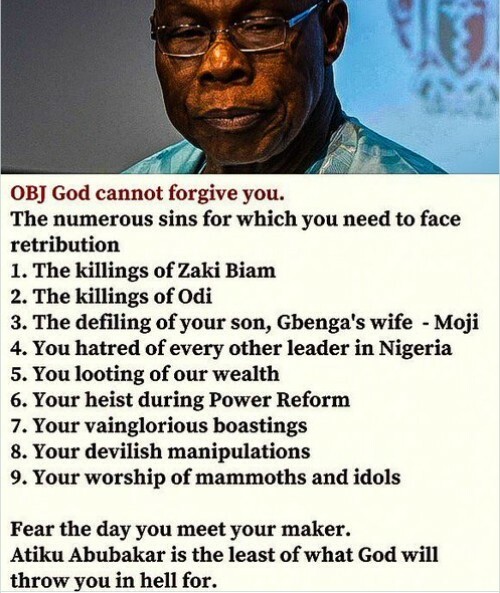 If I do not know, yes. 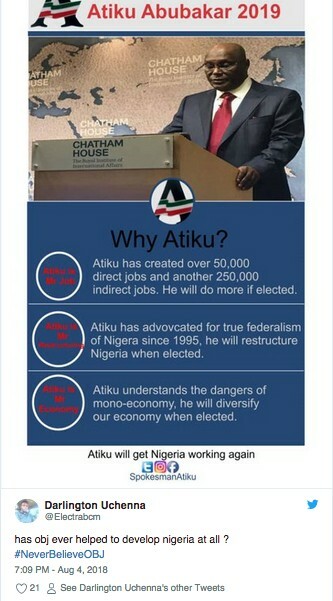 But once I know, Atiku can never enjoy my support,” .